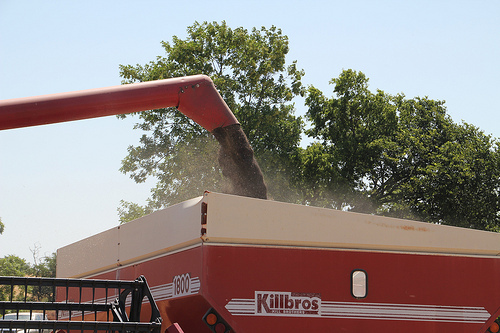 For Oklahoma canola growers, 2012 was a very good year. Producer Jeff Scott who farms near the Kansas border in central Oklahoma said his experience was no different despite a couple of twists tossed his way by Mother Nature. The summer has, once again, turned off hot and dry, much like last year. Rather that make any changes, though, Scott said he’s going to follow his original plan. Scott said while he hopes for some rains before planting time, he’ll dust in another crop if he has to. Scott said as far as his operation is concerned, canola has lived up to its billing to improve farm ground. He said he he has actually dug pits and found canola roots that go down four and five feet deep. Canola TV is a service of Producers Cooperative Oilmill. Click here for their website where you can learn more about their efforts to serve farmers growing cotton as well as winter canola. You can click here for the CanolaTV Youtube channel, where you can see previous episodes- which offer insight into producing winter canola here in Oklahoma and the southern plains.